As the nation celebrates 58 years of its independence, isn’t it time to think of how to grow it into one, big, economic and political entity truly deserving of its moniker, ‘giant of Africa’? Land of beauty. Land of the beautiful. Land of our fathers. Land of valiant men and women. Land of dreamers, who dreamt big dreams for our land and our people. Land of dreams that have turned pipe dreams. Land of promise. Land of promise-breakers. Land of abundance. Land of scarcity. The land blessed by God but cursed with bad leaders. A giant reduced to a pigmy by its successive predatory leadership. The land we want to love, yet find many reasons not to. The land we call our native land (in the second line of our old anthem) but treat like an enemy land. How can we call a nation ‘our own dear native land,’ yet despoil her every second in our every thought and action? Strange. This is the land of strange children, who make the Biblical prodigal son smell like the rose flower. Land blessed with black gold, but cursed with gamblers and moneychangers, who have gambled away almost all our fortunes and turned the joy of the black gold to ashes in our mouths. Land we call Nigeria. Land we call our country. The green-white country. Green stands for fertility of the soil, our agricultural prowess, fertility in all aspects of our lives, while white denotes peace. A nation living in plenty and peace? Where are the plenty and the peace? Land of the great Herbert Macaulay; land of the erudite and charismatic Benjamin Nnamdi Azikiwe; the visionary Jeremiah Obafemi Awolowo; the pragmatic Ahmadu Bello and the gentle Tafawa Balewa. Land of men who spoke truth to power, colonial power, and dreamt of a nation of possibilities, where all good things are possible. Land of the brave Funmilayo Ransome-Kuti; legendary Queen Amina and Gani Fawehinmi; Tai Solarin; Mokwugo Okoye; Emeka Odumegwu-Ojukwu; Murtala Muhammed; Fela Anikulapo-Kuti; Aminu Kano, the king of talakawas; Bala Usman and a long list of heroes and heroines. Land of great visionaries. Land of men who nursed the giant vision of turning our mangrove swamps and savannah, the desert land and mountains into one great, prosperous nation, providing all the many bounties of life to God’s children, the people of this blessed country. A land providing equal opportunities for all citizens to realise their God-given potential, where no man is judged by his tribal marks but the content of his character and the gray matter in his head (apologies to Martin Luther King for the parody of his ‘I Have a Dream’ speech). A land draped in the white garment of fairness, dripping in the oil of justice, where no man is discriminated against in any way. A land that was trudging on the path to realising the dreams of its founding fathers. Where citizens once enjoyed quality, free education in some parts of the country; where automatic jobs and other benefits awaited citizens, even before they graduated from the university; where the defunct Electricity Corporation of Nigeria (ECN) truly generated light, rather than pitch darkness. A nation where the rail system eased the mass transportation burden; where agriculture was taken seriously and food for all was never a problem for us. A nation where you could sleep with your two eyes shut; where life would not be short, nasty and brutish, in the words of Thomas Hobbes; a nation where every man and woman was his brother’s keeper. We understood our differences and appreciated one another’s peculiarities. The regions controlled their resources, contributing a percentage to the centre. Every region strove to measure up to expectations and beat the records of the other. The West had its cocoa, rubber and palm kernels; the East, palm oil, palm kernels and other farm produce, while giant pyramids of groundnut, among other cash crops, sprang up in the northern skies. With what each region got, they planned well and catered for their people. It was not the era of the petrodollars, which has turned successive leaders to the indolent path, where imagination is gone and states now wear the toga of official militants, feuding over increase in the share of revenue allocation. Then came the years of the locust. The military shot itself into power and broke into the common till. With the musical chairs of coups disrupting the march of progress, they soon sowed the seeds of discord, ethnicity, mutual distrust, antagonism and bitter rivalries amongst the different sections of the country. They came and put a knife to the thread that once held us as a nation and people and things fell apart. The advent of democracy has largely been unable to halt the distrust and struggle for power by the disparate sections of our country. Every section, since the civilian dispensation berthed, has been consumed in the rage to have their kith and kin occupy the highest position in the land. Every section wants to produce the President. Every section decries its marginalisation in the scheme of things or, more appropriately, in the sharing of the national cake. Who cares about baking the cake? Who cares if the cake crumbles and there is nothing more to share in the future? Who gives a damn if this drained 58 year-old lady we all have been exploiting suddenly collapses and dies? Who cares? As the nation celebrates 58 years of its independence, isn’t it time we all paused to spare a thought for our country, to think of how to grow it into one, big, economic and political entity truly deserving of its moniker, ‘giant of Africa’? If we truly loved our nation, we would not promote divisive interests. We would shun the language of hate, rage and the evil act of bloodletting. For the ordinary citizen, that is not difficult to do. The problem is the so-called elite, who are consumed in the greed for power, materialism and other vain things of life and are recruiting the unwary and the gullible in the needless war of attrition. 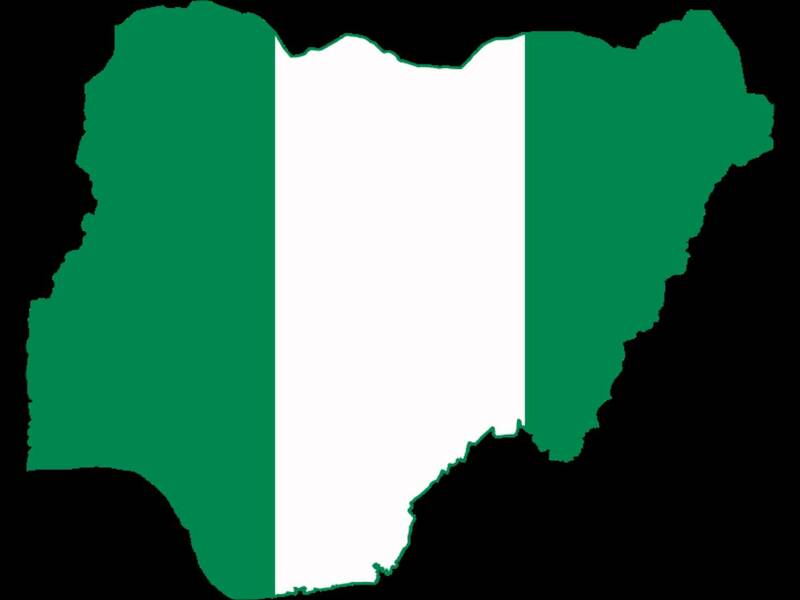 However, for love of country to take root, for the citizenry to see Nigeria as no more than a ‘mere geographical expression’ (in the words of Awo), for Nigerians to genuinely feel something deep for their country, the country must also be able and willing to provide the raison d’etre for them to do so. A social contract must subsist. The system today is, in many ways, alienating to the Nigerian. Nigerians don’t feel their government, especially at the powerful centre, in the psychological and physical sense. They don’t see why they should love a country that largely shows them neither care nor respect, either here or outside our shores. They have seen many leaders who preach one thing and engage in the exact opposite. They have seen leaders who steal but ask the people to imbibe the spirit of sacrifice. We have had leaders who have no iota of love for their country but who demand patriotism of the citizens. How can that be? Then, of course, the economic emasculation of majority of the citizenry is not what can engender patriotism in any clime. Citizens of bigger countries in Europe and other parts of the world can understand what they are going through as ‘just a passing phase,’ having experienced the better life for a long time. But in our case, our happiness has often been short-lived. We have mostly had the rough and the terrible. Our leaders have offered not much hope and promise. Sadly. What does freedom mean when, as the sixth largest oil-producing nation on earth, our citizens groan under megawatts of darkness? When we have our youth, including graduates, roaming the streets in search of elusive jobs? A nation that is making the record, producing its 23rd set of unemployed graduates? A nation with over 70 per cent of its over 180 million people living on less than a dollar a day? But amidst all these, we must not, never, lose hope. The good news: We can have a nation of the dreams of our founding fathers. We only need to play our parts. The leaders and the led. It’s simple: Let the leaders lead well and the followers follow well. Let’s hold those in authority accountable for their acts of omission or commission. Let’s be active and participating citizens. Let’s not resign to fate. Let us collectively monitor governance. Let’s demand transparency and service from the men in power. Yes, we can! in the immortal words of former President Obama. Happy birthday Nigeria.